May 3, 2017 – Mister Journalism: "Reading, Sharing, Discussing, Learning"
Karen Wolfe has continued to pay attention to what Los Angeles schools are up to, a necessary activity as LAUSD is under constant siege by folks who would like to see it dismantled and the parts used to feed the LA charter industry. The extra challenge is that many of those folks are working form inside the district itself. Another batch of consultants heading for an LAUSD board meeting. Witness the latest growing mess that Wolfe and others have brought into the light with a series of posts. I’m going to give you the bold strokes, but I strongly recommend that you read about this issue here, here, and here. LAUSD has some previous experience with tech-driven fiascos. There was the ipad disaster, in which a reality-impaired faith in tech power was yoked to some insider dealing ending up in the waste of huge mounds of taxpayer money. And its district-wide student information system (MiSiS) which turned out to have no actual capabilities other than making vendors rich. People love to sell big expensive computer-driven tech systems to LAUSD because– well, that’s a customer with a lot of money. Some of these seem innocuous enough. Money for phone and connectedness upgrade? Sure.Enterprise reporting– wait? 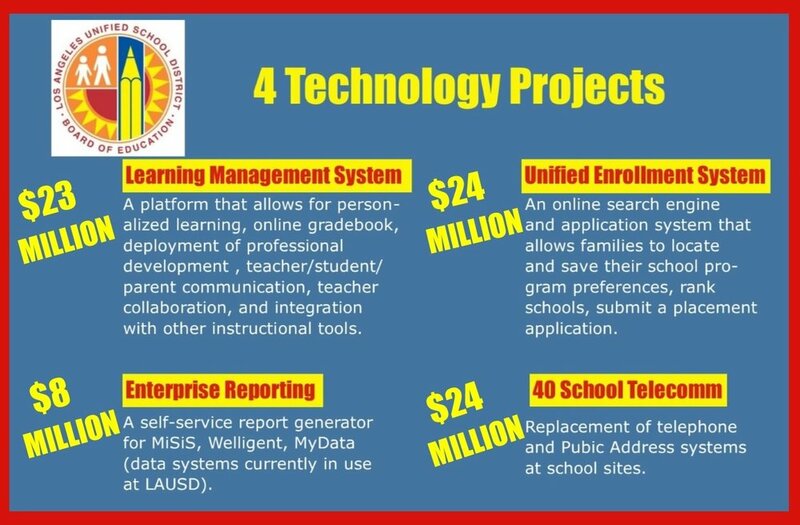 LAUSD needs to spend $8 million on a system to get reports out of data systems they already have? What the hell kind of data systems do they use that don’t actually generate reports? But that’s not the huge red flag here. The red flag is the Unified Enrollment System. Charter-choice fans like Unified Enrollment, and while they rarely come out and say exactly why, I can make a couple of educated guesses. On the one hand, it gives charters access to a ton of information in the system. It also helps them sell the idea that charters are just one more part of the public school system instead of private edu-businesses. At the same time, it keeps up the filtering element, by creating a system that is best navigated by motivated parents who can work a system– the kind of parents who produce children who make charters look good and don’t cost a lot of extra money to educate. What Unified Enrollment does is generate a database of potential students, all the easier for a charter’s computer to sort and sift. 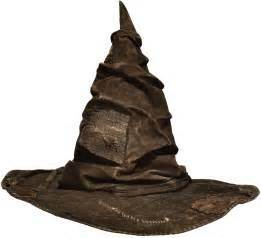 It is a great tool to have if you believe that “school choice” really means “school’s choice.”Proponents keep claiming UE is the great mixing bowl, when it fact it works as more of a giant sorting hat. It’s Hufflepuff for you and your kind, kid. One stop shopping via Unified Enrollment has been pitched to the LAUSD board as a Really Cool Thing that worked super-well in New Orleans. As with most stories that start with “This worked really well in New Orleans,” this story, pitched by folks like Silkes Bradford (formerly of Green Dot Charters, now of Oakland Unified School District), is not tightly connected to reality. Here’s just one account, in painful but fully sourced detail, of how New Orleans’ OneApp served charter operators well and made parents’ lives so much more complicated and frustrating. Imitating New Orleans, even without a hurricane, is a bad plan for any educational system. But Unified Enrollment is on an LA fast track (and reportedly in Oakland as well). Folks may ask silly questions like “What does this have to do with any of the stated objectives of the district, or why they would adopt this when they hadn’t adopted any sort of policy about doing it– how exactly do you decide that a program is the perfect way to hit the mark when you haven’t even hung the target on the wall yet? But these questions are being treated as an irritant, as decisions already seem to be coming from inside the district offices. 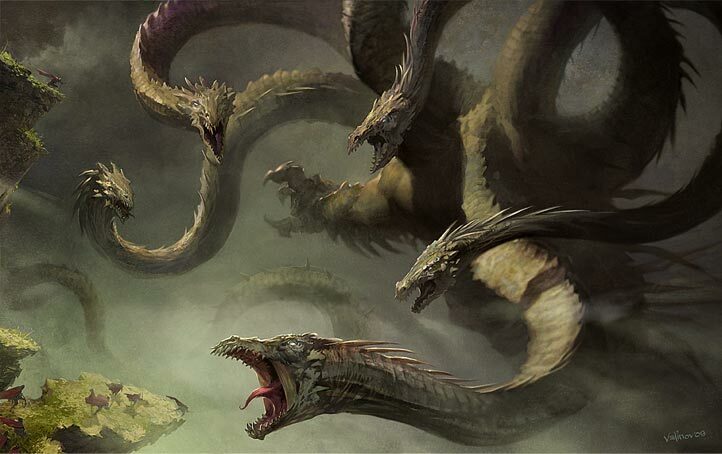 LAUSD’s CEO of Project Management and Digital Innovation, Diane Pappas tried to reassure the BOC by explaining that they had been meeting privately in individual board members’ offices and had gotten their buy-in. Point is, she wants everyone to understand that it’s okay for the board to go ahead with this stuff because they’ve all been lobbied privately, out of sight of the public that elected them, so it’s totally cool. As Wolfe has brought out, the sales force for these technological innovations in money-making are already planted within the district. A Broad fellow and a Walton charter leader are somehow also staff within the LAUSD. Not super-visible staff, mind you, but apparently still plenty influential. Ani Bagdasarian Packard is a Harvard Graduate School of Education product, who did some consulting and then signed up with Broad (Broad, you will recall, has already announced his intention to eat LAUSD’s lunch and turn the district at least 50% charter), who placed her with the LAUSD (and if you don’t think that’s how he works, consider this example of the Broad Academy‘s job placement program). Jodie Newbery taught in New York City under the Joel Klein regime, then worked her way around the charter circuit with the New York Center for Charter School Excellence, and the California Charter Schools Association, where she worked on the Walton Family Grant– her job was “to develop high-quality charter schools in Los Angeles.” From there she went to work in LAUSD as a program and policy advisor, portfolio development. Both were hires during the Deasy era. While the Unified Enrollment is being pitched as a public-school-only project, that seems to be a foot-in-the-door program, with a group already formed to lobby for charter school inclusion. PEAPS-LA wants to make sure that every child in LA has a choice of schools, or that every school has a choice of children. Pretty sure it’s one of those two. It’s a huge pile of taxpayer dollars to be spent on a this program designed to achieve goals that the district doesn’t have, promoted by people the taxpayers didn’t elect, and discussed in meetings the public doesn’t get to see. Again, I recommend you pay attention to Wolfe’s writing (here, here and here, for starters). I know it must be tiresome to be a fan of public schools in Los Angeles, where the public system is under constant, unrelenting attack. But this, in fact, another such attack, and believers in the promise of American public education are going to need to meet this challenge, too.